OKLAHOMA CITY (October 3, 2018) – The Oklahoma State Department of Education (OSDE) on Tuesday hosted It Starts Here: Trauma-Informed Instruction, a day-long summit focused on childhood trauma and its impact on education. Part of an effort to combat the state’s high trauma rankings among students, the event included a standing-room-only audience of more than 800 educators and education stakeholders. A recent National Survey of Children’s Health revealed that Oklahoma’s youngest children suffer more trauma than those in any other state. In addition, nearly half of the state’s children have Adverse Childhood Experience (ACE) scores of 3 or higher, and among children with 4 or more ACEs, Oklahoma’s percentage is the highest in the country. ACEs, which include indicators such as socioeconomic hardship, physical and emotional abuse and neglect, are used to assess cumulative childhood stress. Research shows that trauma can create long-term changes in the brain, which can manifest in learning difficulties, depression and other mental illnesses in young students. Children dealing with trauma at home have an increased chance of exhibiting negative behavior and poor decision-making in the classroom. Held at the Cox Convention Center in Oklahoma City, It Starts Here: Trauma-Informed Instruction featured two keynote speakers: Casey Gwinn, the president and co-founder of the Alliance for Hope International; and Steve Graner, a ChildTrauma Academy Fellow and former English teacher. Gwinn provided an overview of ACEs and the predictive nature of unmitigated trauma on children in their educational journey, while Graner conducted an interactive workshop on how teachers can use sensory experiences to help students understand and deal with the lingering effects of trauma. 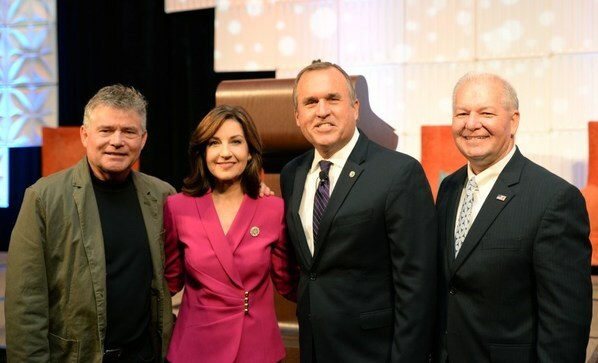 The summit aimed to educate Oklahoma’s teachers on the complex issues surrounding ACEs, offering guidance on what to look for and how to better support students who have experienced trauma. Participants learned the tenets of trauma-informed instruction, which encourages teachers and administrators to refocus on what happened to a particular child rather than on challenging behavior alone. Trauma-informed instruction also encourages teaching coping strategies, resilience, self-regulation, empathy and cooperation. Other speakers included Hofmeister; David Prater, District Attorney for Oklahoma County; Steven Buck, Executive Director of the Office of Juvenile Affairs; Terri White, Commissioner of the Oklahoma Department of Mental Health & Substance Abuse Services; and Principal Chief James Floyd of the Muscogee-Creek Nation. 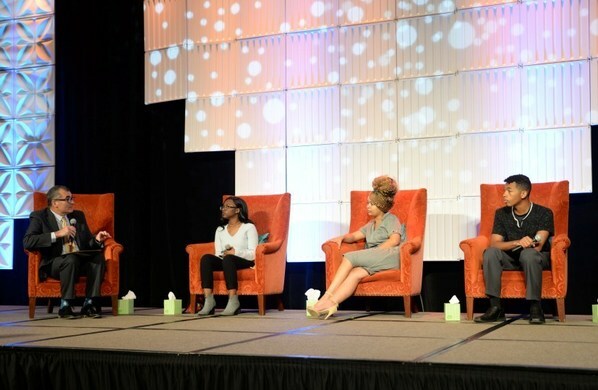 Buck moderated a session focused on the perspective of the traumatized student that featured a panel of three Oklahoma young people whose lives had involved hardship. The panelists, all of whom had graduated from high school and are attending college, discussed what they wish their teachers had known about trauma while they were still in school. 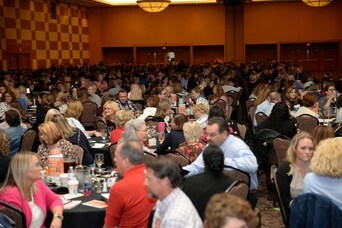 Summit attendees came from Oklahoma’s highest-need districts and schools, as identified by OSDE’s Office of School Support and the Center for Disease Control and Prevention’s potentially dangerous schools list. Oklahoma’s top ten districts with the highest student populations were also invited. OSDE live-streamed the event on its Facebook and YouTube social media channels. During the morning session, the event hashtag, #OKTraumaSummit, was a trending topic on Twitter in the Oklahoma City area. The entire recorded event is available here. The event received significant financial support from a host of partners, including the Muscogee (Creek) Nation, the Arnall Family Foundation, the Inasmuch Foundation, the Potts Family Foundation and others. On Monday, OSDE hosted a free screening of the documentary Resilience: The Biology of Stress & The Science of Hope in partnership with the Potts Family Foundation. The film explores the science behind ACEs and the way stressful experiences in childhood can alter brain development, causing health and behavioral consequences well into adulthood. After the screening, a panel of trauma experts held a group discussion regarding the effects of trauma on youth. Panelists included Prater; Meagan Bryant, a counselor at Mid-Del Public Schools; and Dr. Deb Shropshire, Deputy Director of Child Welfare Community Partnerships with the Oklahoma Department of Human Services.